The Los Angeles City Attorney recently announced 19 criminal charges that the office has filed against a commercial property owner and a renovation company. The charges were the result of alleged improper removal of asbestos materials during a demolition and renovation project in violation of state rules and regulations. The owner of the multi-unit commercial building, along with the owner of the renovation company who was also a tenant, were both charged as were their corporations with 1 count of disposal of hazardous waste and 9 counts of violating Air Quality Management District (AQMD) rules and regulations. The property owner was also charged with 9 additional criminal counts for AQMD violations according to the City Attorney’s office. Both business owners are licensed contractors. The material in question was an acoustic ceiling that contained asbestos. These types of ceilings are just one of numerous building materials that were made with asbestos and can still be found in all types of buildings across California and the nation. Other common asbestos-containing materials regularly encountered include fireproofing materials; attic and wall insulation; vinyl floor tiles and the backing on vinyl sheet flooring; adhesives; roofing and siding shingles; textured paint and patching compounds used on walls and ceilings; and hot water and steam pipes coated with asbestos or covered with an asbestos blanket or tape. 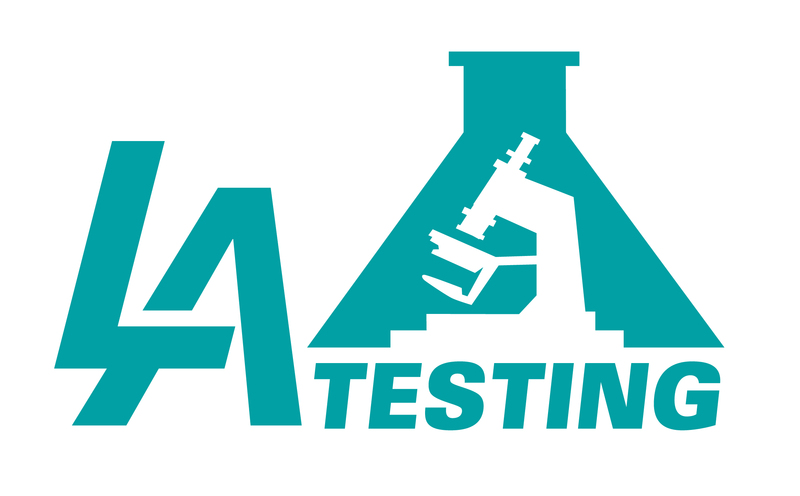 LA Testing, with multiple laboratories across the state, provides testing services, sampling supplies and easy to use test kits to identify asbestos, lead and other regulated materials. To learn more about asbestos or other indoor environmental quality, building science, occupational, health and safety services, please visit www.LATesting.com, email info@LATesting.com or call (800) 755-1794. For access to IEQ test kits, visit www.EMSLTestKits.com.